Play pickleball with these people, and you could get bruised. Enter the computer lab, and you may find someone updating her website. This isn’t your grandma’s senior center. Reidsville’s long-awaited — some say overdue — new 18,000-square-foot senior center on Washington Avenue accommodates its fast-growing and active local population of people 55 and older. “I’ll put some of my seniors up against some of these teenagers any day,” said Cindy Baynes, senior center coordinator. A cardio and weights class, two dance troupes and volleyball complement the card playing, painting and crocheting classes. 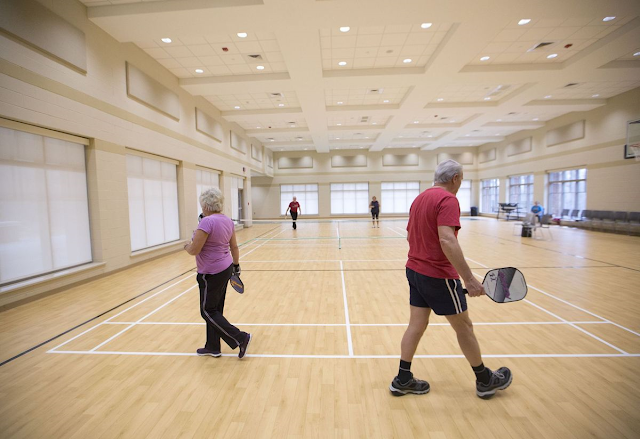 Pickleball “is the new rage,” Baynes said, and the center’s bowling league has more than 60 members, several of whom average 185 to 190.